The primary purpose of fiscal policy is to collect revenue for national governments, but it is also a viable instrument to address economic imbalances with other countries. Economic conditions of small peripheral countries such as Malta, Cyprus and Ireland vary greatly from those of big and core countries such as France and Germany, and therefore fiscal policy is used by countries to stimulate growth when they suffer from permanent disadvantages such as smallness and peripherality. 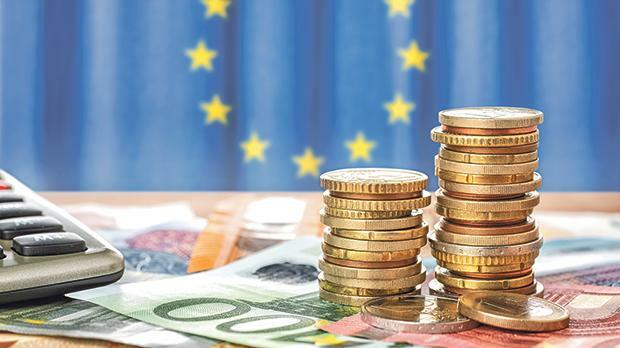 This makes tax policy by nature a highly controversial topic at EU-level, which is why the Treaty requires a unanimous decision by Member States for the adoption of tax legislation. Following an announcement at the state of the union speech by President Jean-Claude Juncker last September, the European Commission in the last weeks issued a communication with a four-step road map aiming to a change the process of EU decision-making on tax legislation by 2025, from unanimity to majority voting, using a general passerelle clause provided by the Treaty of the EU. Triggering the clause would require a unanimous vote of EU Member States. Technology and communications in recent decades reshaped the global economy, revolutionised production processes and created high value services. Businesses are no longer constrained within territories but have spread operations cross-border and particularly online. National fiscal policies are therefore a very important factor on which cross-border operating businesses decide in which country to set up shop or otherwise. For small and peripheral EU States, losing full sovereignty on tax matters will have huge repercussions on their economy if EU legislation is passed by qualified majority voting and eventually limits their ability to safeguard their national interest. Many Member States have developed competitive tax regimes, which contributed towards the growth and consolidation of various industries. With no flexibility to take up the advantages of flexible fiscal policy that is safeguarded by Member State sovereignty in tax matters, one wonders whether these countries that already suffer from permanent disadvantages will remain attractive for so many companies to establish a presence there. Several proposals as presented by the European Commission on fiscal matters, particularly in the area of corporate tax, would have negative implications on the future growth of small EU Member States, and as evidenced in the past, they were strongly resisted. While further integration to facilitate business environment for growth and investment through the European Single Market is encouraged, one must be careful that other aspects of integration do not benefit some EU Member States to the detriment of others. One must also keep in mind that Member States do not only trade with EU countries, but also in wider geographical regions. Tax matters are therefore a competitiveness issue for Member States vis-à-vis third countries. In this context, Member States, particularly the ones that have small open economies and that are vulnerable to exogenous shocks, require full sovereignty on tax matters to have the flexibility to respond to economic developments, such as economic crises. The great asset for small and peripheral countries is the ability to respond and shift position in a timely manner. Considering the sensitivity of this policy area, any compromise achieved as a result of unanimous adoption would surely reflect a much fairer outcome catering for the interests of all Member States. Unanimity voting does not prevent the EU from making important decisions in the area of tax policy. Against general perception, a great deal of work on tax legislation is accomplished in the Council of the EU. During the current legislature alone, the Council adopted legislation linked to the OECD Base Erosion and Profit Shifting project (BEPS) addressing tax avoidance and mismatches in tax rules, including for instance legislations on the Anti-tax Avoidance Directive (ATAD I and II) and Country-by-Country Reporting (CBCR). The Council also adopted various VAT-related proposals. Member States should therefore continue enjoying full sovereignty, safeguarded by unanimous voting in EU decision making on tax legislation. At the same time, they should continue their best efforts to negotiate tax proposals in good faith in a bid to reform tax rules to fit the digital realities, and to also preferably push for agreement on reforms in a wider international context to safeguard the EU’s competitiveness vis-à-vis third countries. The Malta Business Bureau encourages the Maltese government to take a strong position on this issue and is also committed to advocate and convey this message in Brussels to dissuade the Commission’s proposal in order to safeguard Malta’s economic interests. Simon De Cesare is president of the Malta Business Bureau, the EU-advisory and support office of the Malta Chamber of Commerce, Enterprise and Industry, and the Malta Hotels and Restaurants Association.